Has it really been that long? 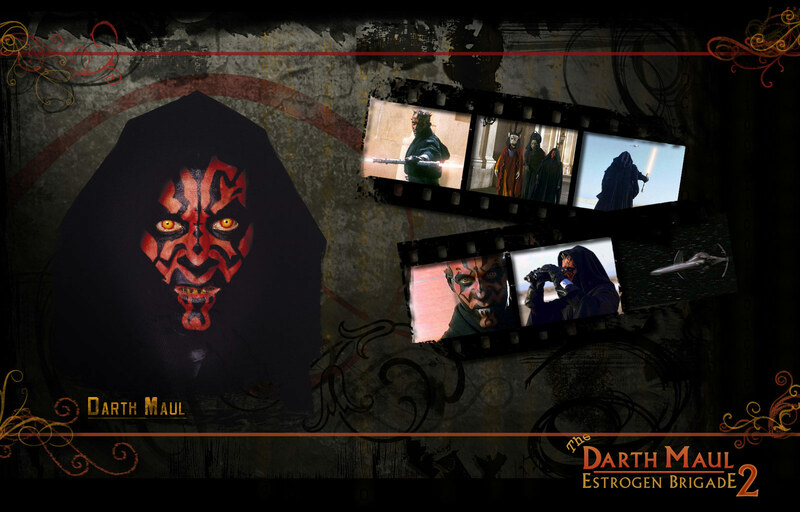 Has it really been eight years since we first decided that the Darth Maul Estrogen Brigade simply could not pass into oblivion... that we had to keep it going - somehow - someway! Has it been eight years since we first thought about, designed and uploaded the website? Guess it has! Wow... where has the time gone? (Yes... it is time for a website update... and it is on its way!!!! ) In the meantime - here are some goodies for you to enjoy. 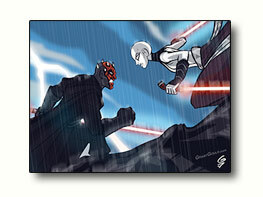 Who would win in a contest of Darth Maul vs. Asajj Ventress? According to artist Mariana Moreno: "Many people are wondering who would win....in my opinion, I don't think she'd waste any time in fighting!" 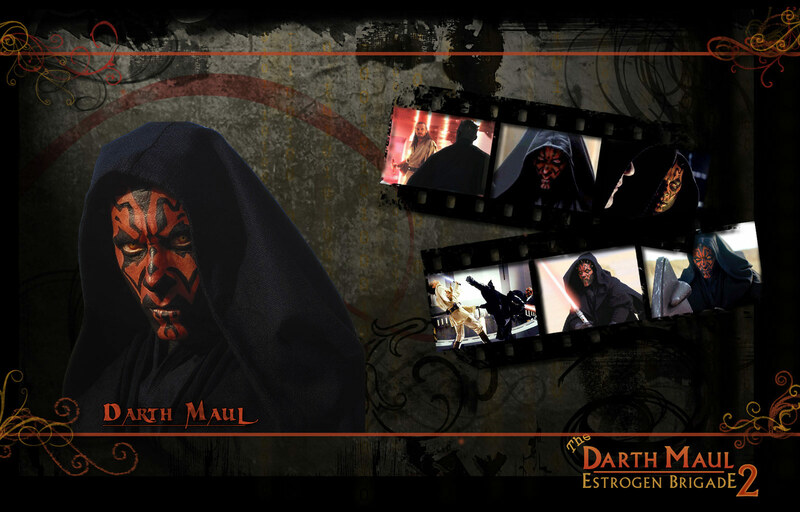 Well... she certainly perfectly captured what many of us would like to do with Darth Maul, if only given the chance. She based her artwork on another piece of art by Grant Gould. But Mariana gave it her own twist - one we approve of whole heartedly! Thanks to Mariana Moreno for submitting this work in honour of our Anniversary! - We thank you! 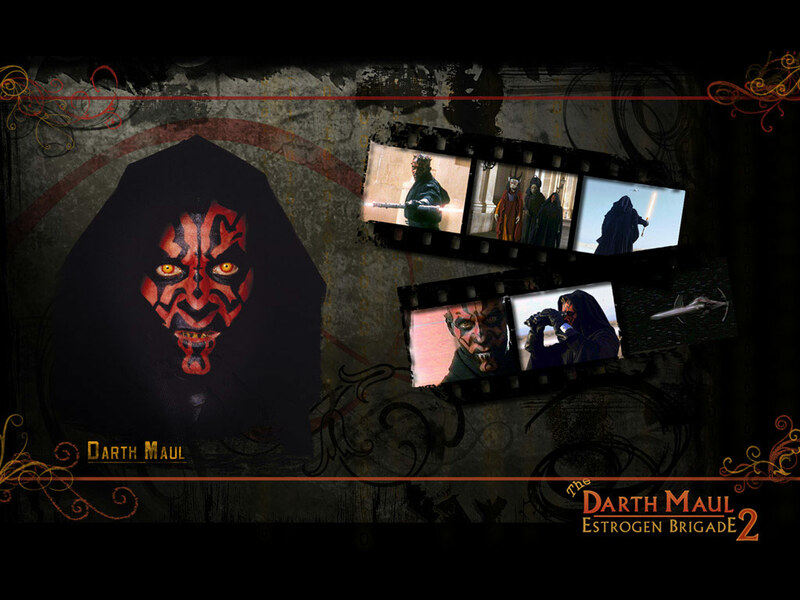 You can see more of Mariana's work at her website: http://sketchbookdemm.blogspot.com/ There are several more Star Wars drawings there - and even a couple more Maul pieces (Yes... she is a Maul fan). 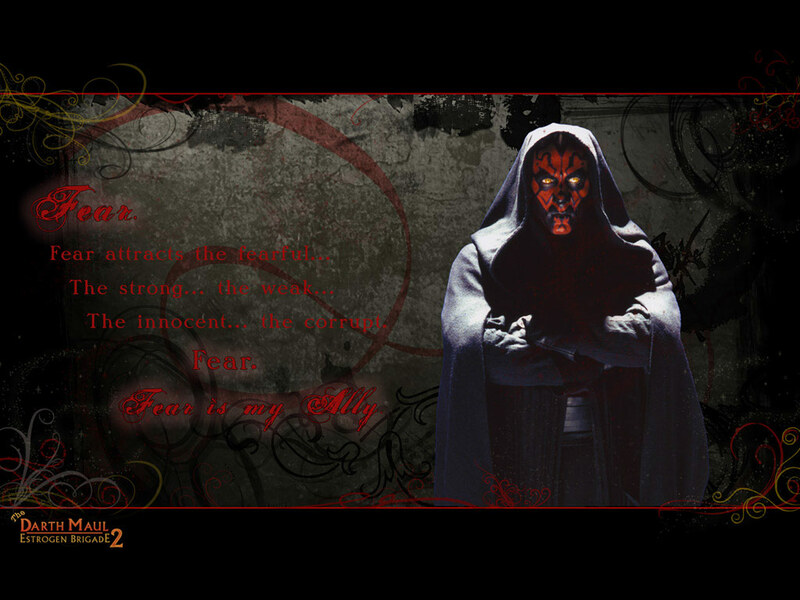 Special thanks also to Grant Gould for permission to post his artwork. 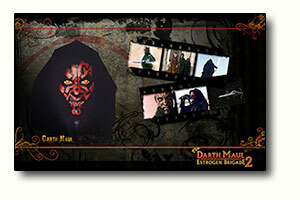 He has published work extensively in books, magazines and most recently - trading cards. 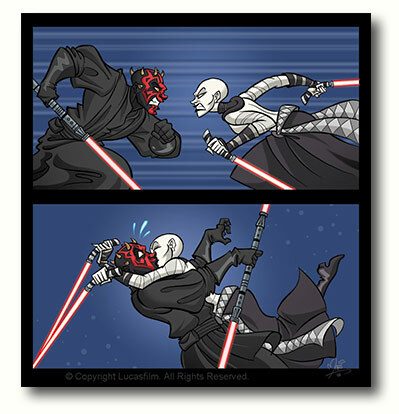 You can visit his website at: http://grantgould.com/ Grant also posts a lot of his artwork on his Deviant Art website. 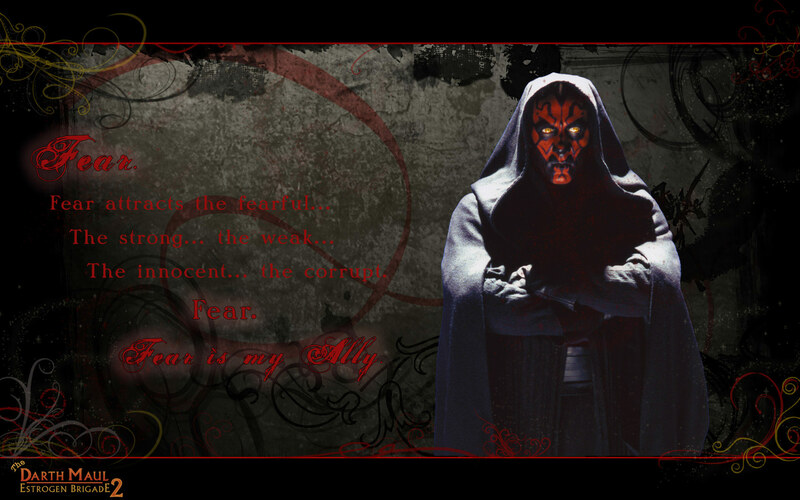 He has quite a bit of Darth Maul work throughout, but all of his work is fantastic. 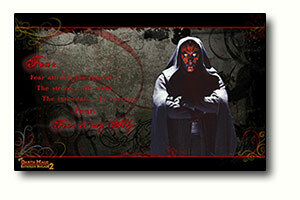 Want a change of scenery for your computer - look no further. 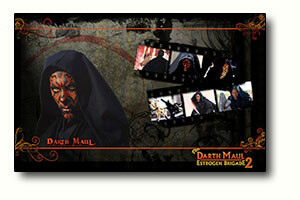 We have a few new wallpapers to help change your computer screen from blah to Maul!!! 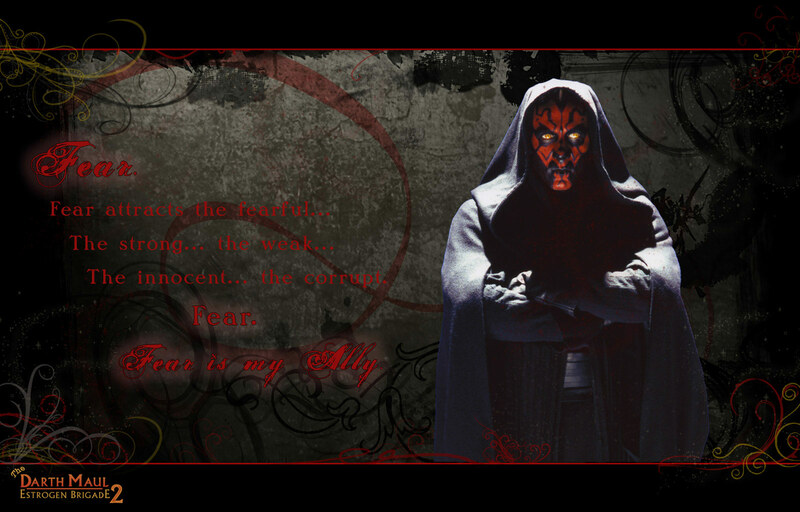 You can preview the wallpaper by clicking on the thumbnail below. Choose the correct size for your monitor by clicking on the link to the right. 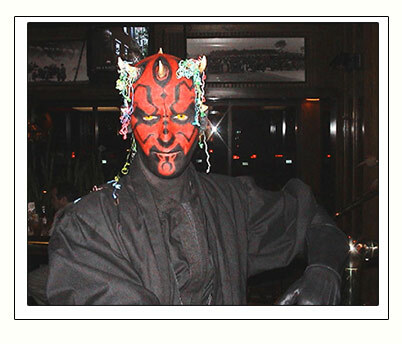 A new page will open up and you can save the image to your computer. Some of the files are large in size - but hey - it's a LOT of Maul!